‘Smaller and better’ will be the key focus at the upcoming CTI Symposium USA, taking place May 14-17. As GKN Powder Metallurgy continues to produce netshape gears for the electric trend, the CTI Symposium will put an emphasis on the automotive shift to electrification. The market’s push toward drivetrain electrification poses a stronger need for high component performance with a reduction in total mass. A need for maximum driving distance and efficiency is pitted against tightened spaces and weight reduction. GKN Powder Metallurgy's Director of Forging Technology will showcase high-performance netshape gears for electrified drivetrains at CTI. Our forged powder metal (PM) components, like hypoid gears and differential gears, support an electrified drivetrain’s needs through high durability and additional weight savings through a net shape geometry. What can forged PM offer to the automotive industry? The processing of powder metal alloys allows for a wide range of combinations: abilities like traditional sintering, metal injection molding, additive manufacturing and forging technology. Forged PM creates gears for drivetrain applications in a much more netshape geometry with powder forging steels’ high cleanliness, uniformed chemistry and carefully controlled alloys. This is all due to the technology’s unique characteristics. 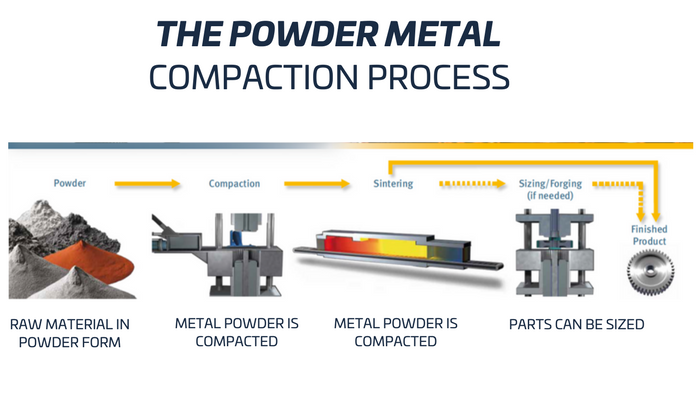 This is how it works: a preform is made from powder compaction and sintering; providing a tailored alloy consumption, optimum mass distribution, geometry and near-shape conditions to perfect the flow of material during the forging. With a single high temperature forging stroke, the component is forged to its final shape. 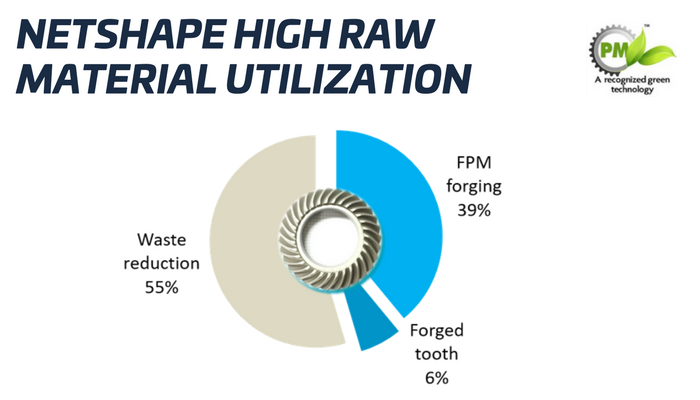 GKN Powder Metallurgy’s differential gears, a 2016 MPIF award winner, delivers the highest torque capacity and outperforms – and substitutes – warm forged wrought steels. To hear the full presentation and a complete case study review, attend his session on May 17th at 12:15 p.m. If you are attending the CTI Symposium, visit GKN Powder Metallurgy at booth #53.